Sure you could. If Duke was legit from the arc they re not getting beat anyway more than likely. At which point the best coaches look at the percentages. Zion from 15 ft and in one vs one is still gonna be higher than better shooters with open looks from 20. I don't think his numbers are all that much different with shooters now shooting more shots either. And after the fact the discussion turns to K having to deal with inexperience and meshing together NBA talent. Heh, they do the same thing with Cal. Inexperience and meshing together talent is something Cal, K, and others have to do because of an intentional recruiting strategy on their part. Any "adversity" they have to overcome because of that is entirely self-induced; they shouldn't get "credit" for overcoming it. you could make the same argument for coaches who bring in players that need development and then coach them up over the years. Any adversity that comes from it is also entirely self induced. OK, you could, but the assumption that teams would have played them the same is pretty preposterous. You're only doing a part of the math. It's not "does Zion shoot more efficiently in the paint if we don't double him at 15' than these 3 point shooters shoot?" That's an oversimplified way of looking at it. It's, "if we allow more 1 on 1, how much more does he score and at what efficiency, and is that a worse ROI than leaving 3 guys open?" Also, "Are our guys going to get run ragged closing out on shooters when Zion kicks out?" Dudes can sit on the perimeter and shoot all day. Zion can't work for tough baskets every time down the floor. There aren't many coaches who intentionally do that, though. They do that either because they aren't great recruiters, or because they are at a school with limited resources and that's the best they can do, or they are trying to re-build a program and that's the best they can do at the moment (like Barnes did). I don't think Rick intentionally sought out to recruit a team without a single guy in the top 150; that certainly wasn't his M.O. at Texas. It seems like teams that have had a lot of tournament success in the one-and-done era strike some kind of balance between one-and-done and marginal recruits...Izzo is a perfect example. Izzo actually got bounced early from the NCAAT in 2016, 2017, and 2018 but he's also made 4 Final Fours in the one-and-done era. He doesn't recruit the Zions of the world, but he also doesn't have a team populated exclusively with recruits ranked 150 and above. Izzo has 7 top 100 players this year, but the highest of them was 19th (Langford, who's hurt). Cassius Winston was 31, Ward 39, Tillman 74, etc. They are good players, but stay for 2-3 years. Old enough, how old are you? Its no more simplistic than saying Zions numbers change in a significant way because Duke scores it better from the perimeter. It being easier because shooters are shooting and making more shots may change his shooting percentage some but its already astronomical even without them. Them not needing him to be dominate on every other possesion would have probably equaled them being next to impossible to stop but that may not have resulted in his numbers being any better. Im sure K would have been fine with more balance. He's still playing if they had it. I'm thinking more assists, more opportunity to dribble drive thus more points, probably more rebounds, and I wouldn't expect efficiency to change. Agree to disagree, I suppose. I'm just trying to figure out if you're one of Zion's jealous peers or a sad old man? I think Duke is a better team with better scorers around him giving you more options late in games. I just dont think that means his numbers change all that much on that end. For guys to be threats you cant leave they need attempts and unless K goes the Bruce route which hes never been known for, the total number of possessions are not gonna change all that much. If that doesnt happen hes either not getting more attempts or his outside options are not. He might would see a slight bump in assist numbers but if his supporting cast is making more shots there are less balls to rebound than before. On the last part we do agree. On a side note. I've caught a few of Ks post game pressers this year and while I dont believe for a second he would do anything different, I got the feeling a couple of times he felt slighted by 95% of the focus being on his talent and not his coaching ability. Their 3p% would have to jump up to something crazy high, like 45%, in order to create fewer offensive rebound opportunities. Also long bounces are better for offensive rebounders. If their percentage didnt increase very much and they didnt take any more looks, you basically have what you do now from a defending Duke standpoint. If they are taking more shots and making a better percentage of them (which would be required for teams to just play straight up) there are less touches for Zion. His assist numbers may increase some but thatd be about it.The rebounding idea is somewhat puzzling. They need to be better shooters but the more they miss they re giving Zion more rebounding opportunities. It doesnt make sense unless your finding more possessions in a game. Which means you re changing the pace in which you play D and or O. That's not Ks style. I'm just trying to figure out why you're drinking the kids bath water ? Karma is a *****. The refs screwed UCF. I’m still trying figure out why Duke lives in so many Tennessee fans head rent free. All season people complained about Duke and there is no connection between the 2 programs at all. As in zero .Gonzaga was a common opponent? Duke and UT haven’t played since 2011 or something and that was a preseason tournament. I’m still trying figure out why Duke lives in so many Tennessee fans head rent free. Every sport has its favorite team to hate. Duke is that team in CBB. Without a doubt. I just was very surprised by the amount vitriol headed Duke’s way from Vol fans. There is no rivalry or real history there whatsoever. At least not in basketball. UNC, UK, Maryland once upon a time and some others I get, but not the overwhelming amount of **** talking that has taken place by Tennessee fans this season. This season Tennessee was in a position to compete with Duke and other top programs. As a result more UT fans were emotionally invested in the regular season and post season. This season Tennessee was in a position to compete Duke and other top programs. the inferiority complex kicked in. Are you referring to that Mt. 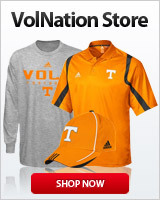 LeConte size chip firmly implanted in the shoulder of many of Vol Nation who are convinced that the world is against us? But ESPN does hate us!